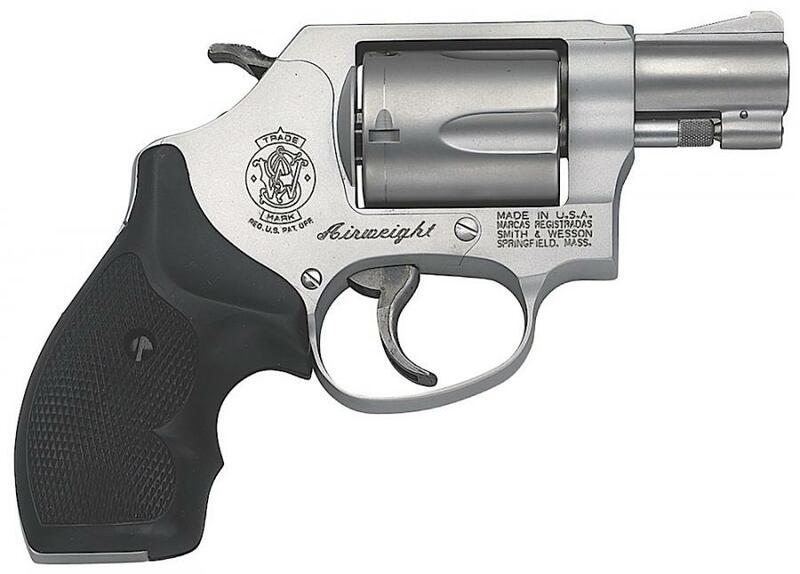 S&W 637 Airweight 38 Spec 1.87"
The Smith & Wesson Model 637 5-shot J-frame is built with a stainless steel barrel and cylinder and an aluminum alloy frame with an exposed hammer and is supplied with black rubber Uncle Mike's boot grips. The greatest strength of this gun is excellent accuracy. Other strengths include the rounded contours of the gun, ease of concealment, its simplicity of operation and high production values in finish and fit.